The Privacy Commissioner is monitoring the Yahoo hack that compromised up to 500 million users’ accounts. The Privacy Commissioner is monitoring the Yahoo hack that compromised up to 500 million users’ accounts, following news that up to 130,000 Spark users in New Zealand are still under threat. 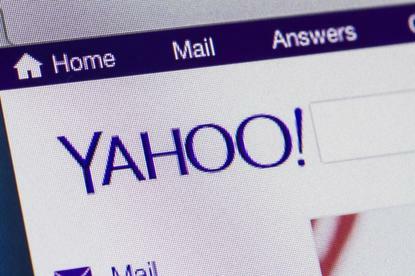 Previously the telco claimed that the hack affected a “small portion” of the 825,000 email accounts that Spark provides to users through its partnership with Yahoo. Yet the number has moved into six figures, with the telco now analysing the data provided by Yahoo to identify the Spark customers who may be affected. “We take this matter very seriously and will be progressively communicating directly with these customers who may have been impacted, from today, and over the course of the next 48 hours,” a Spark spokesperson said. Yahoo announced late last week that a copy of some of its user account information was stolen from the company’s global network back in November 2014, and has since confirmed that information from some of Spark’s Xtra customers is included in the stolen data. Consequently, Spark is asking all Kiwis to “immediately change their passwords”. “To maintain a secure online profile, Spark advises all Xtra users to regularly update account settings with a strong, difficult-to-predict password,” a Spark spokesperson said. But despite the move, the telco insists there remains “no evidence” that the stolen information has been used to gain unauthorised access to Spark accounts. As the fallout of the breach drags on in New Zealand, Privacy Commissioner, John Edwards, has weighed in on the attack, insisting the hack “exemplifies the international nature of privacy”, with the US Federal Trade Commission and Irish Data Protection Commissioner already working together to make enquiries into the incident. The Yahoo hack included names, email addresses and security questions and answers used to reset passwords, with Edwards claiming that most Spark customers have “probably not” had their security questions and answers compromised. “When agencies lose customer data, they need to help those customers take steps to protect themselves by alerting them as quickly as possible,” Edwards said. Edwards said the proposed reforms to the Privacy Act include mandatory breach notification, where agencies must report breaches of a certain scale - these reforms are due to be tabled in Parliament in 2017. “We are grateful that Spark quickly alerted us about this breach and immediately began taking action to resolve it,” Edwards added. “However, the fact that Yahoo may have known about the breach for a number of months before alerting the public shows why we need mandatory breach notification.